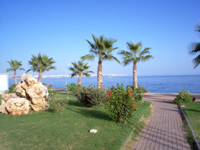 Antalya is a popular tourist paradise on the Mediterranean coast of Turkey. 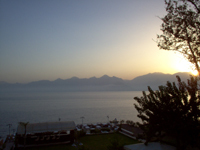 Antalya is a rich city with many historical and natural wonders. Antalya enjoys a warm climate for nine months of the year, with beautiful beaches, clear sea, long hours of sunshine, with wonderful mountain and forest terrain. Golf resorts, mountain ski centre, sea sports, aqua parks, rafting, jeep safari, daily boat trips and blue voyages, camping areas, international music, opera and ballet festivals, fairs, rally events, and many other activities and entertainments. 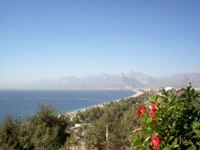 During the winter months in Antalya skiing can be enjoyed on the mountains. Additionally in springtime it is possible to stil enjoy some skiing and also warm enough to sunbathe on the beaches. 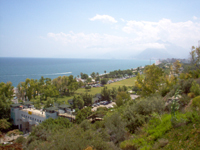 Antalya has wonderful areas for sight seeing, historical and natural. 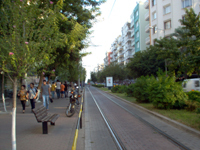 The city and surrounding areas has many attractive restaurants to suit all tastes, many of these offering traditional Turkish dishes and others specializing in local fish dishes.